Meet the Magnolias: Overcome the Lie Blog Tour! 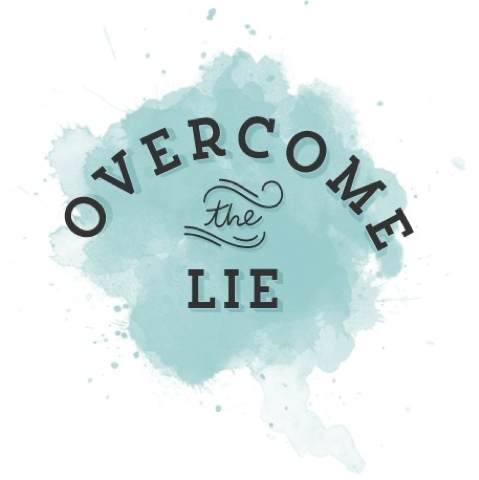 Overcome the Lie Blog Tour! Have you ever believed a lie? Like really believed it in your heart? Has a lie ever overshadowed the truth in your life? Well, you aren't alone, friend. My sweet new friend, Ashley, started this amazing movement called Overcome the Lie. Reading the stories from other girls (I like the word "girls" better than "women" - sounds younger) about the lies they believe has totally blessed me. That sounds crazy, but really, knowing that I'm not alone has been a tremendous comfort. Overcome the Lie exists to empower a generation of women to overcome the lie because Jesus overcame the grave. Our desire is to promote a culture of encouragement and victory by providing resources and opportunity for women to rise above the lie. Our hope is to raise up a community of women who will walk in wholeness and identity, declare the truth boldly and advance the Kingdom with passion and power. I knew I wanted to be a part of this movement. I knew I wanted to be free of the lies I believe. I knew I needed to share what I'm hearing and believing because so much of it is LIES. (Lies and confusion don't come from the Lord, fyi.) Plus, once you say things out loud or share them with other people, you realize how they aren't true at all. Sometimes, they even sound silly! Despite that, I believe a lot of lies. Almost more than I realize or own up to. This has to change. For me. For all of us. Sometimes, you're so far behind, people don't even know you're competing in the race at all!!! Step it up, though it won't matter how hard you try. You're never going to amount to what everyone else around you amounts to. Y'all, these are lies that I believe. Almost every. Single. Day. People around me, whether it be friends, people I graduated with, or someone in line at the grocery store, are surpassing me in life. In nearly every aspect. But that's OK. Life isn't a race at all. It's a hard pill for me to swallow, when I feel stuck behind a desk. We don't have extra money. Sometimes we don't have all the money we think we need. We can't buy a house. We aren't having babies yet. We certainly aren't going on any crazy extravagant vacations. All of this is more than OK! God has provided above and beyond for us. We are blessed to have jobs, a fun home to rent, two cars to drive, and each other. It's crazy (insanely crazy) to think that if we didn't live in America, I may not be so quick to believe these lies. I don't want data entry to be my lifelong career, and the years are flying by. How long will I continue to be comfortable rather than powerful? I mean powerful in a godly way - making a lasting difference - rather than powerful or successful in a worldly way. I am worth more than what I'm doing. I have more to offer. I have a creative mind and a loving heart. Thankfully, God has already promised me this! No matter what you or I think or are feeling, God's promises never change. Trust God and those promises. Block out the doubt. 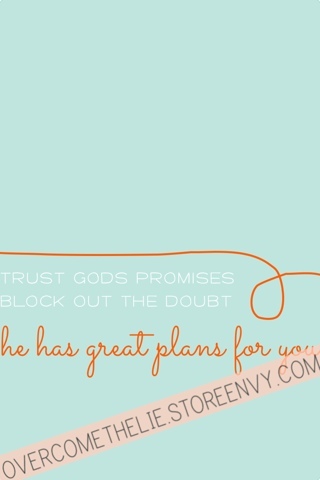 The creative minds over at Overcome the Lie designed this print to go along with my post!!! Head on over to the store and grab one for yourself! Overcome the Lie has twitter parties, and you can see so many rich truths by reading #OvercometheLie! The next twitter party is on Monday!! Follow @overcomethelie on Twitter and on Pinterest. Be sure to like the Overcome the Lie page on Facebook, too! All of these are ways to connect with other women who love Jesus and want to encourage you! We're also gearing up for our first mug swap! You don't want to miss this fun!!!!! YOU are treasured and spectacular. God loves you and promises to prosper you. This is so beautiful! Wish I had known about it and could have participated! I can't wait to learn more about all the ways you're involved so I can do it too!